The Aquaponic Source, Inc. today announced that it has opened for business with the unveiling of its unique website designed to serve the burgeoning North American home aquaponic gardening community. 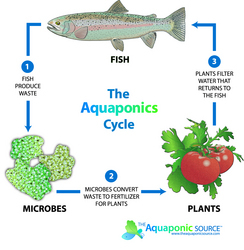 Aquaponic gardening is a unique, synergistic growing technique in which fish and plants are grown together in a single sustainable system. The fish waste feeds the plants using organic hydroponic techniques. The plants, in turn, clean and filter the water which then returns to the fish environment. The Aquaponic Source, Inc. today announced that it has opened for business with the unveiling of its unique website designed to serve the burgeoning North American home aquaponic gardening community, http://www.theaquaponicsource.com. The Aquaponic Source offers a wide range of products selected to meet the needs of aquaponic gardeners from novice to expert. To meet these needs, the Company has sourced products from most every growing discipline including hydroponics, soil-based gardening, aquaculture, and aquaponics. The company will be introducing a complete indoor / outdoor aquaponic gardening system at the LOHAS Forum June 23 – 25 in Boulder, CO.
Aquaponic gardening is a unique, synergistic growing technique in which fish and plants are grown together in a single sustainable system. The fish waste feeds the plants using organic hydroponic techniques. The plants, in turn, clean and filter the water which then returns to the fish environment. Aquaponics uses less than 10% of the water of traditional soil-based growing methods and sustainably produces food that is 100% organic, with no worries about pesticides, mercury or other heavy metals, or industrial compounds now found in so many of the country’s water sources. Aquaponic gardening systems water and fertilize themselves, are free of weeds, and can be set up at waist height so that most of the mundane chores and back pain associated with conventional gardening are eliminated. Prior to The Aquaponic Source Ms. Bernstein was the VP of Marketing, Innovation and Product Development for AeroGrow International, the makers of the AeroGarden, where she was one of the company's original founders and was instrumental in developing the Company’s plant growth technology. Her passion for organic, urban gardening, and a green lifestyle led her to become an expert on aquaponic gardening. 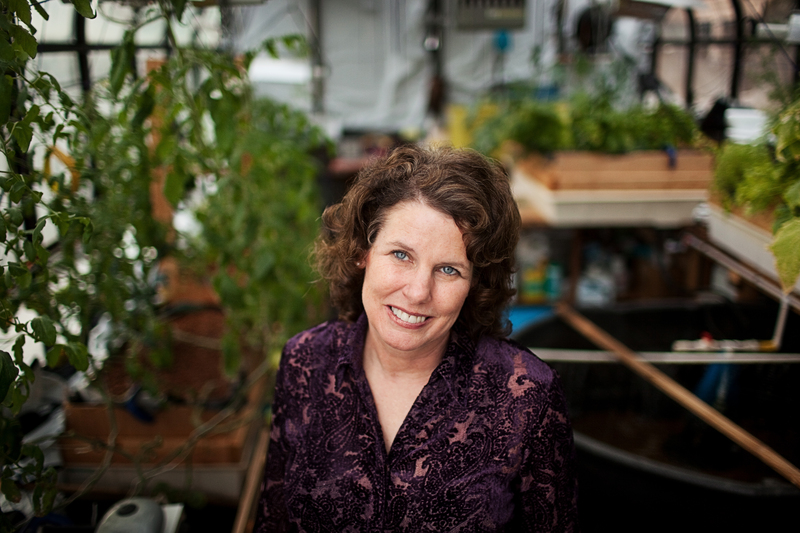 She speaks and teaches courses on the subject throughout Colorado, writes for Backyard Aquaponic magazine, and has produced an instructional video titled “Aquaponics Explained”. Sylvia also writes “The Aquaponics Gardening Blog” and runs AquaponicsCommunity.com.